Motorcycle riding is more popular than ever. In fact, in Florida alone, motorcycle use has increased every year since 2000 as a result of the state’s beautiful roadways and scenery. It’s a popular pastime, not simply a means of transportation, among adults of all ages. However, accidents involving motorcycles are serious problems, and victims might find themselves suffering long-term consequences. 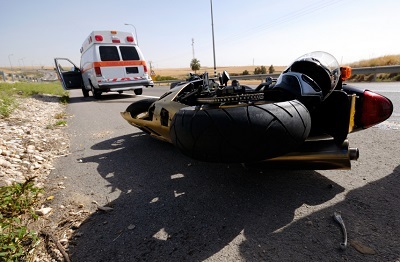 Injured victims need an experienced motorcycle-accident attorney to fight for fair compensation: money to cover medical expenses, property damage, lost wages and psychological trauma. At Bell & Bell, we will fight to get you what you deserve. A motorcyclist is 35 times more likely to be involved in a deadly accident on the road than someone in a car. Eleven percent of roadway accidents across the country involve motorcycles. Eighty percent of motorcycle accidents in Florida result in serious injuries or fatalities. The most common cause of motorcycle accidents is vehicles turning left into motorcycles. Other common causes of accidents include inexperienced motorists, roadway defects, hostile actions on the part of other drivers and poor weather conditions. There are ways that motorcyclists can protect themselves, such as wearing helmets, driving defensively and obeying all traffic signs. However, the sad reality is that sometimes, there just is nothing that the motorcyclist can do. It’s simply not possible to perfectly predict the behaviors of other drivers. The fact of the matter is that car and truck drivers are responsible for a large number of motorcycle accidents every year, and because of the increasing problem of distracted driving, this is becoming a more significant factor. Sometimes, drivers fail to look for or notice motorcycles, or they fail to yield the right of way. These types of accidents almost always involve injury, which results in medical bills, ongoing treatments, lost wages and pain and suffering both physically and psychologically. Florida is a popular destination for motorcycle riders, and the state plays host to numerous enthusiast events. However, most accidents that occur each year involve Florida residents. Broward County has one of the highest motorcycle-accident rates in the state. If you’ve been involved in an accident that wasn’t your fault, then you deserve fair compensation for your pain and suffering. Turn to a trusted law firm with years of experience. If you need a personal-injury lawyer or a motorcycle-accident attorney in Pompano Beach, contact Bell & Bell. Call Us At 954-783-2215 Or Toll Free At 888-852-8867 Today!